For people like me, every day is Record Store Day. The idea of darkening the doorway of the neighborhood record shop (and there is one in my 'hood too) always seems appealing to me, so in some ways I should be dismissing the annual day with a brush of the hand. But yesterday I did sort of buy into it - but only perhaps because the timing worked with my life. The Attic, a record store across the river in Millvale (i.e. about eight minutes from my house when there's no traffic) opened at midnight, like they've done for at least the past few years. In 2011, I went there at midnight and got wigged out by the claustrophobia. It's narrow enough on a slow day. So this year, I decided to get up early (as I usually do anyway) and get there a little before 7 a.m., since it would either be dead or close to dead. I was right. The item that interested me was a live Art Blakey record that I think had the Jazz Messengers lineup with Lee Morgan and Wayne Shorter. Turns out, it wasn't pressed in time for RSD. 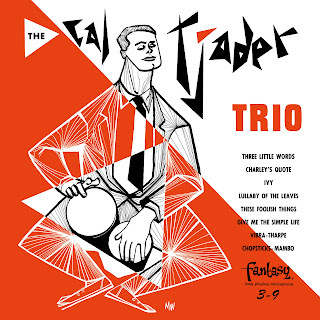 On the jazz front, though, there were some 10" reissues of Fantasy EPs from the '50s, and I picked up this Cal Tjader release. It's a pretty cool blend of all of Tjader's instruments - vibes (for which he's probably best known), drums (which his plays with an amazing amount of weight) and bongos (same as drums). The other guys in the trio play bass and drums, so with eight songs, there's a lot of variety. There were reissues of Miles Davis albums on Columbia, but it's stuff I already have in some format. The next find was Destroyer's first album on Merge, which came out on vinyl for the first time yesterday. 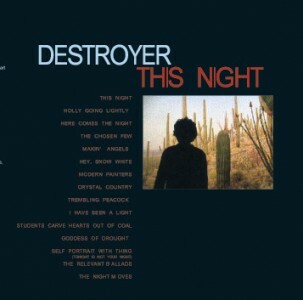 Destroyer albums are all very strange to me. Strange and appealing. I don't have all of them, but I do own several. So far, this might be my favorite. It has that ethereal quality to it, but it also rocks, which is not something I always get from ol' Dan Bejar. Plus, the lyrics are amazing. As far as singles go, there was a piece of cardboard next to the box of 7"s that read "Husker Du," so I knew I missed out something. (I later found out that it was a re-release of their first single, which I'm mixed on anyhow.) A box of Ringo Starr's biggest singles seemed like one of the stranger entries in the RSD canon. (To whom is THAT geared?) 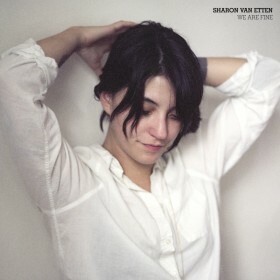 But the one thing that gave me the "I should get this" feeling was Sharon Van Etten's "We Are Fine." The song appeared on the Tramp album but it has an unreleased B-side. I have to revisit that song a couple more times because I'm not sure how I feel about it yet. If I had been super-flush with cash, I might have picked up the reissue of Half Japanese's 1/2 Gentlemen Not Beasts which is now a FOUR-record set, instead of the initial three records. But then again, I have two of the more rock Half Japanese albums that I haven't played in close to 20 years, but can't part with them either. There was also a used copy of the Miles Davis '60s box (CD not vinyl) that I feel like I should've grabbed because used stuff was discounted too. But right now, I'm up to my ears in a Duke Ellington Mosaic box that I borrowed from the library, so I decided to wait. Conclusion: Three records, three different formats. Good times. Then I headed to work. On the way, I drove past Sound Cat, which had a line out onto the sidewalk before 8 a.m.
None of Steve Coleman's recent albums really qualify as casual listening. Listening to the alto saxophonist's sometimes rigid blend of a deceptively static rhythm section and tightly wound alto and trumpet melodies can really get under your skin. At other times, it sounds like off-kilter funk that can groove. 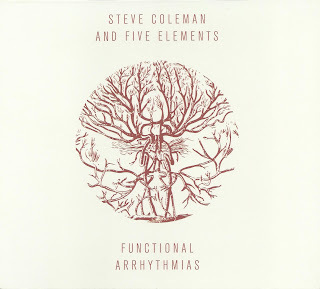 Functional Arrhythmias takes a departure from Coleman's The Mancy of Sound, which Pi released in 2011. 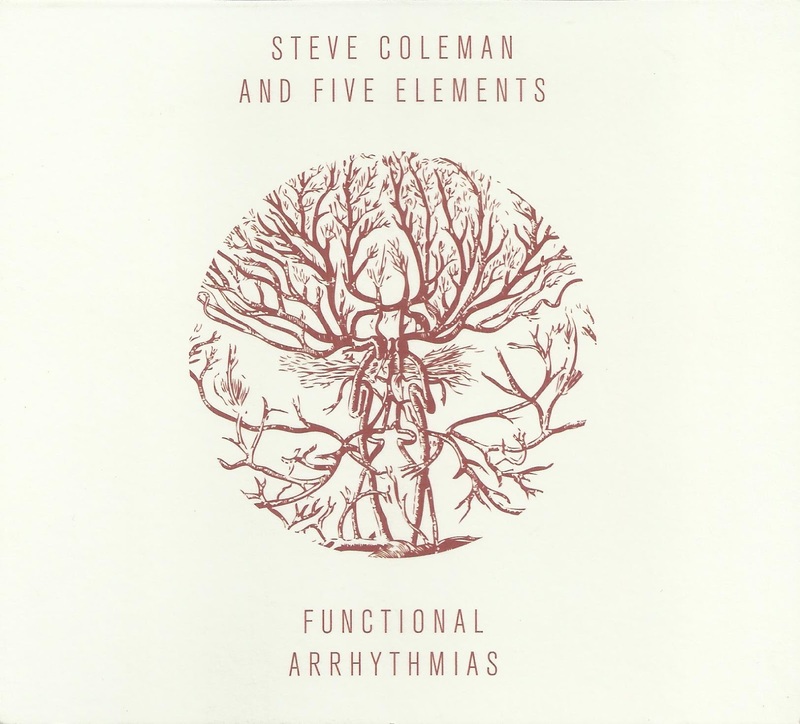 Where that album featured two drummers and a percussionist setting up a tricky interplay, this time Five Elements veteran Sean Rickman is the only drummer. Bassist Anthony Tidd, who like Rickman played in the band over 15 years ago, also returns to the fold, thus ensuring the group has a tight rhythm section to maneuver Coleman's writing. The frontline is pared down as well to just Coleman and trumpeter Jonathan Finlayson, after a few albums that added Tim Albright's trombone and Jen Shyu's voice, which was used as an instrument, as opposed to working as a vocalist. Five of the fourteen tracks add guitarist Miles Okazaki, who bridges the gap between Tidd's basslines and the horns. On top of the instrumentation, there's the underlying concept of the album, which is inspired by the way the body's circulatory, nervous and respiratory operate. Percussionist Milford Graves studied the connection between these function and music, according to Coleman's liner notes, and it inspired the saxophonist to explore it in music. A concept like this can be something that sounds fascinating on paper but dry and mathematical in execution. Coleman has avoided that pitfall by making music that is challenging at times, grates at times, but keeps you listening. Only one track comes close to hitting the seven-minute mark, while most of them average about four minutes. In doing this, Coleman seems to realize that there are a lot of different angles to explore when approaching the concept, and he knows how to keep them compelling. "Cardiovascular" present a good example of the rhythm section's challenge: most of the time they repeat a waltz ostinato, rigidly locked into the riff, but every so often another beat (or is it two?) get thrown in, representing the arrhythmia and making your ear do a double-take. In "Irregular Heartbeats" Okazaki doubles up the bass melody which also keeps shifting the number of beats. "Adrenal, Got Ghost" changes things around, almost sounding like fusion funk, complete with cowbell, while Rickman plays "Cerebrum Crossover" on rims and woodblocks. The rapport between Coleman and Finlayson sounds so tight that they almost sound like twin heads of one horn on "Sinews." Everything is executed with the most amazing, precise clarity. As the album opener, this piece is also the loosest, with a stop-start funk groove and a solo by Coleman that gets kicks off with some slippery blues feeling. While the two horns are cohesive, many of the tracks also require them to fire off their melodies with quick, staccato delivery, which is when they get a little unsettling. Especially when they're spitting out melodies in asymmetrical groups of notes, it can sound more like exercises, or prog-rock. But for every moment like that, they come back with "Limbic Cry" where they recall Ornette Coleman and Don Cherry having some deep conversation. Rather than brush it aside, it makes you want to listen in and figure out what Coleman and Finlayson are discussing. Dave Douglas turns 50 this year, and that milestone seems to bring with it a state of reflection. The title of the trumpeter's latest album, on his own Greenleaf imprint, could reflect a desire to toy with the time signatures in his music, or it could be a way to look back at where he's been over these last five decades. Both ideas seem to filter into the quintet's performance to some degree, yet to call this a concept album would seem to be pushing the issue. Any modern jazz musician worth their salt will always have some sense of the past and the future, with a group of like-minded support players to give it the enthusiastic push. Having said that, "Bridge to Nowhere" launches the album with a vamp that sounds like a hard bop idea that was discovered in an early 1960s session at Van Gelder's. Before it can turn into something closer to "Well You Needn't" this driving number takes on an elliptical form. 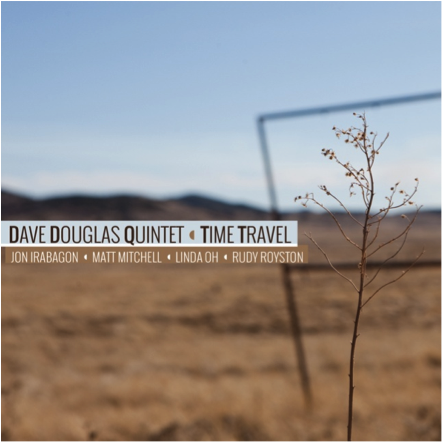 Douglas builds in intensity, as does tenor saxophonist Jon Irabagon, who starts with shorter lines that he keeps extending, getting fire from drummer Rudy Royston. Pianist Matt Mitchell (heard last year on Tim Berne's Snake Oil) also turns in an impressive solo full of fast lines, which do go somewhere. A similar speed and clarity marks "Garden State" which effectively recreates the intensity of Douglas' home of New Jersey, where dodging and speeding seem to be the standard rules of the day. "Beware of Doug" is also uptempo, with a somewhat lighthearted bounce to it, and it gives bassist Linda Oh a chance to unleash an astounding fleet-fingered solo. Time Travel also has some pensive moments. "Law of Historical Memory" (named for a six-year-old Spanish law regarding the Franco dictatorship and receiving justice from it) has Mitchell rolling out steady eighth notes as Douglas and Irabagon play longer, brooding lines on top of it. "Little Feet" also sounds more contemplative at first, but it still gives Douglas a chance to go a little wild, wailing into the upper register of his horn. This same quintet, along with vocalist Aiofe O'Donovan, released the album Be Still last year, to much critical acclaim. Having your own label means not having to wait too long between releases to follow up on your accomplishments. But Time Travel should not be mistaken for a quick followup that Douglas put out just because he can. Without even considering the last disc, this is a fully realized, engaging work that stands as a worthy document by someone who should continue to be productive in his second half-century of performances. The week of vacation is over. Big plans were envisioned: cleaning up the crates of classical albums; finding some stuff to auction; alphabetizing - or at least organizing - the CDs that I put in the new rack a year ago; and listening.......yes, doing A LOT of listening to the discs that have been arriving. Hell, I might've even made plans to weed through email about releases. Monday, Tuesday and especially Wednesday, I was knocked out by illness. On Wednesday, all I wanted to do was stay in bed and sleep, without even listening to any music. The thought of any music annoyed me. I was in bed until about 6:30 that night. Tuesday night was the Mike Nesmith show. I suffered through a badly running nose to make it to the show. Figured a bunch of orange juice before the show and a dozen wings after would help me get through what usually feels like the final stage of a cold. But the next morning I had a 100-degree temperature. Thursday I started to feel like myself, and then Donovan started getting sick and he stayed home the next day. Luckily Jennie was sweet enough to stay home too, and I got some work done. But the grand total of time to myself to get my thoughts and surroundings in order - one day. In other news, don't follow any of the links in previous posts to the Blurt website. Since the site was severely hacked with malware, everything is moving to a slighly different site (new web address: www.blurtonline.com, no hyphen between words like the old one) and these links won't work. All the old stuff isn't up yet either, so it's not worth exploring yet anyway. However, my Mike Nesmith Q&A IS supposed to be posted tomorrow on the new site. That link should work. Last night the Love Letters played at my fabled neighboring watering hole, Gooski's. It was sort of a special show because we were joined by Spaz, who was my bandmate in Paul Lynde 451, a local punk drag band in the early '00s. We did six PL451 songs, which sounded really great. For a noisy pop band, the Love Letters are a good punk band. But, as what seems to be more and more usual, we had a pretty sparse turnout. Not what I needed after a disappointing week. I did appreciate the folks who did come out though. I had an April Fools joke up my sleeve yesterday, that I've actually been sitting on for a year or two. The day before Donovan was born six years ago, Harp was still in existence and Fred fooled a lot of people into believing that Captain Beefheart had come out of retirement and was agreeing to tour. Pretty brilliant trick, it was, and not at all clear as a joke until you got to the photo credit, which read "A.P. Rilfool." Now every year, I think that I should do something along the lines of that trick. My idea isn't as wide ranging, but maybe I'll get it together next year. I had to write a couple reviews yesterday and by the time I had a moment for the joke, it felt too late in the day. File this under "You Should Have Known Better": At the record fair that I mentioned in the last post, I picked up a copy of Chicago Transit Authority which a friend of mine had for $1. I recall moments on that album (I checked it out of the library when I was about 10) that were a little edgy, which a good friend has confirmed. "Free Form Guitar" consists of seven minutes of guitar feedback, going for a sort of homage to Jimi Hendrix. Then a few years ago, I heard the beginning of another song from the album (missed the title) that almost sounded like a Stooges riff, with fuzzy bass. Therefore, I've maintained a "one of these day, I'll check it out again" feeling about it. Well I was right about "Free Form Guitar." Pretty noisy and good. It's followed by the mystery song, "South California Purples," which has a bass-line similar to "Dirt" but the comparison ends there. Once the horns kick in with all that bwah bwah bwaaaaah it looses something. Side Four begins with a recording made at the 1968 Democratic Convention (you know, the one w/all the rioting) and the chant "The whole world's watching" segues into the bassline of the next song ... which bottoms out when Peter Cetera starts singing. If he had only stuck with bass and kept his mouth shut, things would've been great because his basslines are pretty heavy. I don't have a problem with a limited amount of Chicago's early stuff beyond that album. So when I was at the folks' house for Easter Sunday, I remembered that we once had a copy of Chicago II with one record missing. I think I bought it at a flea market and was bummed that the lost LP had "25 or 6 to 4" on it. But it does have "Make Me Smile," which has sounded pretty good recently when it's come on at work. When you're up close and personal with that song, it still sounds pretty flaccid, drum breaks aside. Not only that, it's part of a side-long suite, "Ballad of a Girl from Buchannon," which my bandmate/Buckhannon, WV native Aimee informed me, is spelled wrong. The final chorus of "Make Me Smile" doesn't actually come until the end of the side, after it's gone through a few more instrumental, Maynard-Ferguson-meets-prog sections, past "Colour My World" into the last chorus and a closing that sounds like some t.v. show theme. Like I said, I should've known better. I'm kind of curious to hear the other side of the record, but not too curious.